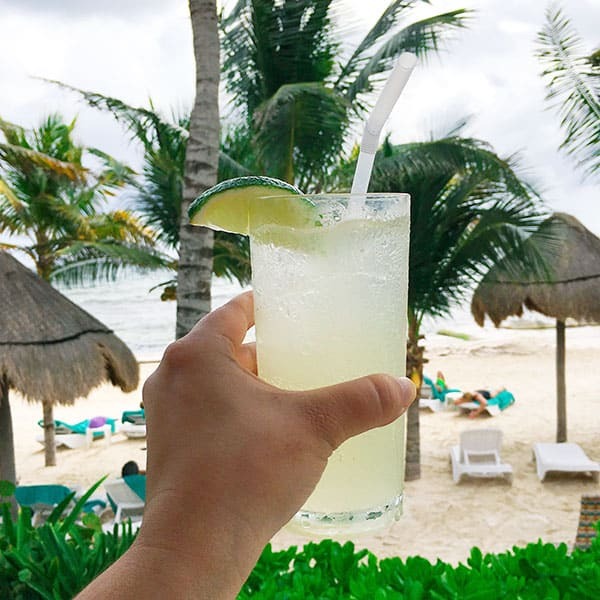 Did you know Mexican hangover cures are among the best? We’ve all been there. You had too much fun, and you’re paying the price the day after. You might even have what my friend Victor calls “cruda del agua,” which is when you’re so hungover that you can’t even keep water down. That’s the worst, and if that’s the case, as soon as you can hold anything down, try the recipe for suero below before you eat anything. A few notes: I’m not a doctor and this isn’t medical advice. Some say they benefit from taking an antacid after a night of heavy drinking before consuming anything with tomato or chile to aid in curing a hangover because they’re acidic and sometimes can provoke heartburn and acid reflux. Suero is like homemade Mexican Gatorade. In fact, it’s similar to a limonada, but with salt instead of sugar. It’s a very simple recipe and surely you’ll already have all the ingredients, but it’s the best remedy for ANY hangover. (And it can also be used to help you recover from a workout!) The salt helps you retain liquids after you’ve been dehydrated. Remember: table salt tastes saltier than Kosher salt (which is what I usually cook with). Start with 3/4 of a teaspoon and add more if necessary. Pour mineral water in a highball glass and add salt. Squeeze the juice of one whole lime directly into the glass and stir to mix everything well, until the salt dissolves. You can also toss in a few lime wedges if you like. Add ice if you like, and drink the entire glass while it's still cold. Of course, you can also drink Gatorade, Power Water or Pedialyte as well, but suero clásico is the standing order for any Mexican with a bad hangover. Ojo rojo (also sometimes called Clamato preparado) is made with a lager beer with Clamato (tomato juice with clam juice) and a salted rim. Sometimes people add salsa Maggi too. 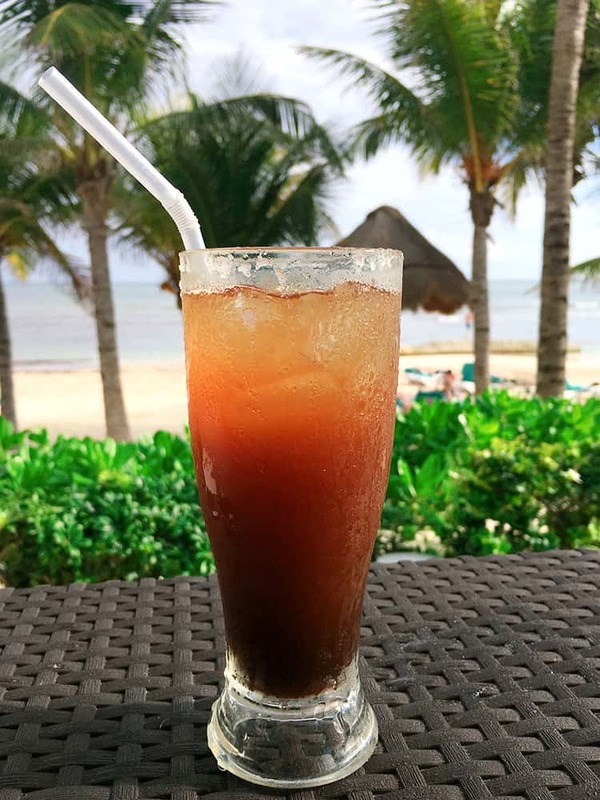 A classic michelada is just lager beer with lime juice and a salted rim on your glass with either regular salt or Tajín. Some versions have Clamato or tomato juice (V8) mixed in, which is why they look red. Other versions include the Clamato or tomato juice and add salsa Maggi and a little Worcestershire sauce. 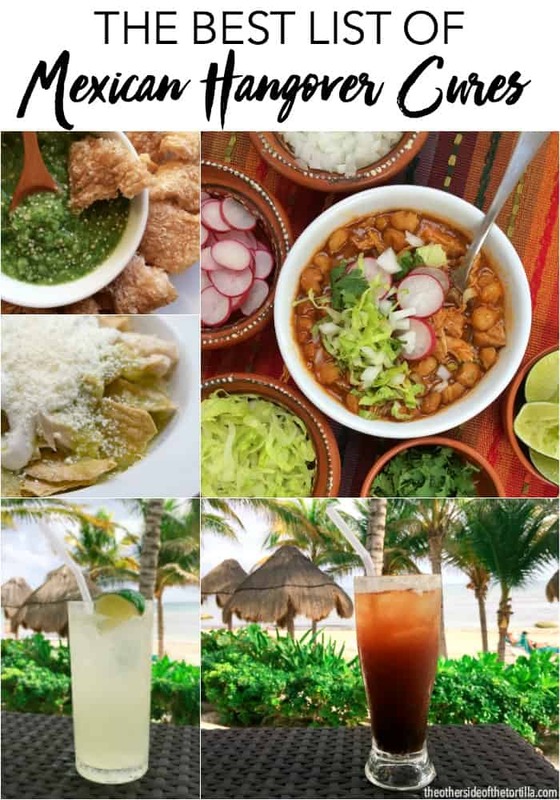 If you’re not sure how to make them, you can always buy michelada mix. For curing hangovers, there’s also food! All of these are tried and true ways to cure your hangover! 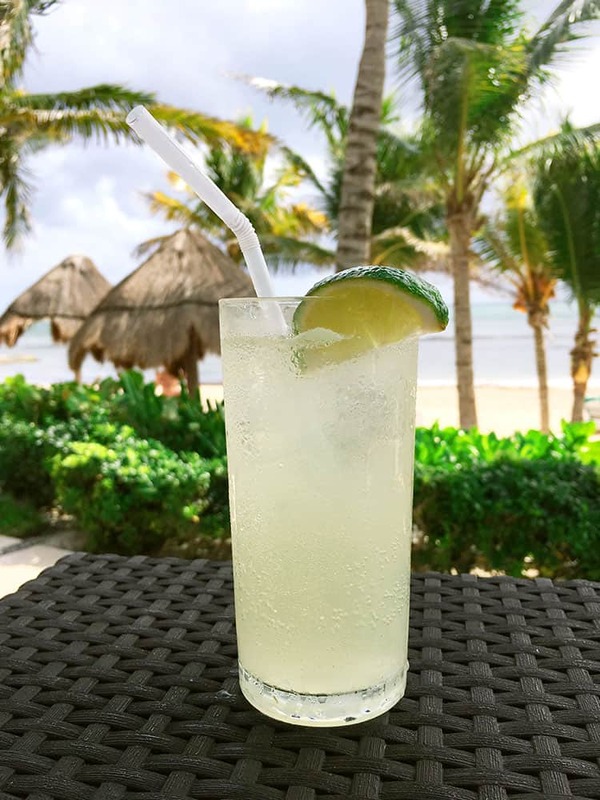 Of course, the only infallible cure is to just keep on drinking, in which case, here’s a short list of some of my favorite Mexican cocktails for you to enjoy.